Back in July during San Diego Comic-Con, Wesley Snipes was on hand to promote his new show on NBC, The Player. #ActionMovieBro David J. Moore snagged a quick interview with the man and when I went to try and catch the panel it was already cashed out. 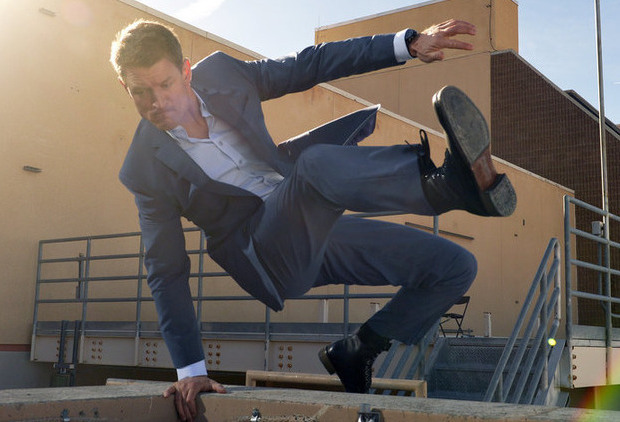 Cut to a few weeks ago when The Player started it's run on NBC Thursday nights at 10:00 PM where we are greeted by a dead body and a disappointed Wesley Snipes before meeting Alex Kane (Philip Winchester), a former security, black ops, something something badass looking to start over. His wife gets killed, he gets caught up in some crazy game set up by the shadowy Mr. Johnson (Snipes) and run by his British, tech savvy assistant Cassandra King (Charity Wakefield). Something about a Game set up by high stakes gamblers where they bet on if The Player can rescue/complete an operation in a given time period. After the mysterious murder of his wife, Kane reluctantly goes to work for Johnson and King, protecting abused wives, hackers, drug cartel targets, etc. I never saw Strike Back on Cinemax where Winchester co-starred on an action centric series for several seasons but here he's just a bit bland. He looks the part of course, blonde, buff and stoic but he just doesn't hold your attention much and tends to overcook his dialog. A few online peeps seem to like him but it's kind of like Jon Hamm and Mad Men, people loved him on that show but I never saw it so seeing him in anything else he just came off BLEEP-ing bland. Fans tuning in for some Wesley Snipes action will quickly tune out since the man is just a supporting character. Each episode contains a one on one scene with Kane to discuss their crazy world and the fact that thought dead wife might not actually be deceased. So if Kane wants Johnson's help, he's gonna have to play it Snipes' way. Of course the main draw of the show is the action and there it delivers quite handily. The Player basically goes into "action" mode with loud, heavy metal style music accompanied by onscreen shooting, fighting, chasing, kicking and mayhem. It's entertaining and you don't have to pay too much attention. Of course the mystery of Kane's wife comes in giving it all a little more heart and backstory. Snipes has quietly gotten to do a little more action each episode with this past week culminating in a sparring match turned exposition filled duel with Will Yun Lee that showed off a few flashy kicks before going into joint and wrist locks. Fights need more kicks, they're much more cinematic and visually impressive than Steven Seagal style joint manipulation. Five episodes in and the show is just starting to find it's groove as Kane protects a hacker from government double agents and Chinese mobsters. There's shootouts, car, motorcycle and foot chases, a knife fight on a helipad, geeky tech talk galore and a quick appearance from Chi Muoi Lo from Vanishing Son! Now where's Russell Wong?! Sadly The Player has not been able to keep it's lead in audience from The Blacklist and premiered to a soft 4.68 million viewers but received an additional 2.5 million watchers from DVR. Since then the show hasn't picked up much steam, reviews were never kind and it was just announced that NBC is cutting the season from 13 episodes to 9 which just finished shooting, effectively canceling it. 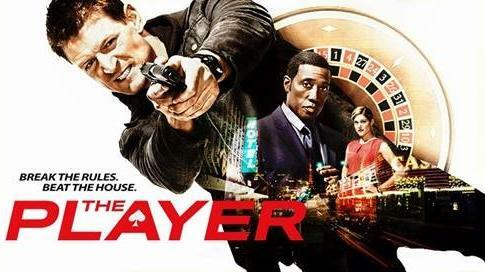 I'm not much of a TV guy but I've enjoyed The Player as it gave you a bit of high octane, brainless fun filled with a little snazzy tech that didn't require you to pay too close attention or listen to endless, would be dramatic droning as is most television. I'm not sure if the show would have done any better with Snipes in the lead role but I'll be sure to check out the last four episodes. At least NBC has the intention of showing the final chapters rather than yanking it off the air so my initial investment hasn't been in vain.